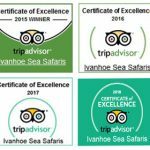 To request a link on this page to your own website, simply email Ivanhoe Sea Safaris. Only reciprocal links shall be considered. should they deem the style or content not to be applicable or appropriate, as the case may be. The links contained herein do not necessarily reflect the opinions or preferences of Ivanhoe Sea Safaris, or their representative.